On 10 September 1985, the Welsh and Scottish national teams played each other during the qualifying stages of the 1986 FIFA World Cup at Ninian Park, the home of Cardiff City. The game was both teams' final match of the qualifying tournament, and both were still able to gain a place at the finals in Mexico; Wales needed to win the game, while Scotland knew that a draw would be enough. The game was played against the backdrop of escalating football hooliganism; English clubs had been banned from European competition as a result of the Heysel Stadium disaster over three months prior, and fears were being raised, notably by Scotland's manager Jock Stein, that the British government, led by Margaret Thatcher, was seeking to lead a "crackdown" on football supporters generally, and that trouble at the highly charged game at Ninian Park would give them an excuse to extend this from just England to the other Home Nations. Despite Scotland having the advantage in the group, thanks to a superior goal difference, they went into the game as underdogs due to a number of their senior players being unavailable due to either injury or suspension, and because they had lost to Wales in the return fixture at Hampden Park in Glasgow the previous March. Despite this, Scotland achieved the draw they needed to go to the next stage of qualifying, while at the same time virtually eliminating Wales from the competition. Scotland's celebrations at gaining the point they needed from the game were marred by the collapse of Jock Stein moments before the final whistle, and his subsequent death in the treatment room of the stadium. The Home Nations had played each other regularly for over a century until the end of the British Home Championship in 1984. The World Cup qualifier at Ninian Park was the 101st meeting between Wales and Scotland since 1876, encompassing games in the British Home Championship, FIFA World Cup and Friendly Internationals. Wales had a poor record against Scotland having won only 18 games up to that point, with Scotland successful in 60. The two teams had played each other 22 times at Ninian Park; Scotland had a 9–6 advantage over Wales, with the remaining seven games drawn. The British Home Championship had ended in the 1983–84 season, with England having announced their decision to withdraw from the competition on 19 August 1983, citing an increasingly congested international fixture list, and waning interest from supporters, especially for the games against Wales and Northern Ireland. Although Scotland said nothing publicly about also pulling out, it was accepted that, if any of the four withdrew from the competition, that would bring it to an end. However, despite the withdrawal of England from the Home Championship, it was decided that the annual England vs Scotland game would continue, with the two playing for a new trophy, the Rous Cup. The Home Internationals had been a fixture in the calendar for 100 years, and there was some level of disappointment felt by Wales and Northern Ireland over the decision. As a way of retaining the tournament, Alun Evans, the Secretary of the Football Association of Wales (FAW), had proposed making it biennial instead of annual, with the top two contesting a final game. In his programme notes for the first game of the 1984 tournament, Harry Cavan, the president of the Irish Football Association, said "We are gravely disappointed and sad that 100 years of genuine friendship, sporting traditions and close co-operation seems to have been sacrificed for financial expediency." 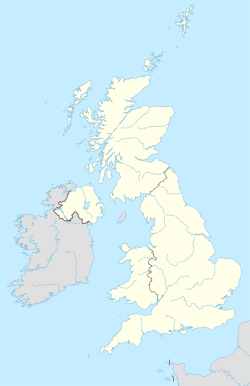 Ironically, at the draw for the qualifying competition for the 1986 World Cup, which took place in Zurich on 7 December 1983 (six days before Harry Cavan's words were published), the four Home Nations were drawn against each other, with England and Northern Ireland in Group 3, and Scotland and Wales in Group 7. Scotland and Wales, having been drawn together in the same qualifying group for the 1986 World Cup, had been evenly matched throughout the competition, although Wales had secured a 1–0 win over Scotland in what turned out to be a controversial and bad-tempered game at Hampden Park in March 1985. This game, Wales' first win at Hampden for 34 years, saw Scottish complaints over what appeared to be a foul by Welsh striker Mark Hughes on defender Alex McLeish in the buildup to the goal scored by Ian Rush, and a clash between Scotland captain Graeme Souness and Welsh midfielder Peter Nicholas, for which both were booked, and which led to a number of the Welsh team surrounding the Scottish player. This booking would prove expensive as Souness was subsequently booked in Scotland's next qualifying game against Iceland, which led to him being suspended for the final qualifying game away to Wales. Scotland captain Graeme Souness was booked in two successive qualifying fixtures, and was subsequently suspended for the game in Cardiff. Going into the final round of games, both teams were equal on points with Spain, with Scotland ahead thanks to a superior goal difference; however, Spain's final game at home to Iceland was scheduled to be played two weeks after Wales and Scotland had played each other. With this in mind, a draw for Scotland would be sufficient to virtually guarantee second place in Group 7 and advance at the very least through to the two legged play-off against the winner of the Oceania qualifying tournament, while a win would likely see them top the group and qualify automatically. For Wales, anything less than a win would virtually end their hopes of qualification. The situation was similar to the qualification for the 1978 World Cup, when Scotland and Wales were drawn together in the same group. On that occasion, the two played each other in the penultimate group game at Anfield, with Scotland knowing a point would be enough to guarantee qualification for the final tournament in Argentina, while Wales needed a victory to keep their hopes alive for their final game. In the event, a controversial penalty from Don Masson and a late header by Kenny Dalglish gave Scotland the victory. The game would be the first of the 1985–86 season for both teams. Since the return fixture at Hampden Park on 27 March, both teams had played twice, with each playing one of the other teams in the qualifying group and a friendly. Wales had secured a comfortable home win against Spain in the World Cup qualifying tournament, but had gone down to defeat in Norway. Scotland meanwhile went into the match on the back of a pair of wins against England and Iceland. Despite Wales having an exceptional recent record at Wrexham's Racecourse Ground (left), the FAW decided to take advantage of the larger capacity offered by Ninian Park in Cardiff (right). In 1985, the FAW did not have the use of a large national stadium. The National Stadium at Cardiff Arms Park had opened the previous year, but was then for the exclusive use of the Welsh Rugby Union; the first football game to be played there was not until 1989. The FAW instead took the national team to one of the stadia of Cardiff City, Swansea City or Wrexham, three of the four clubs who then played in the English football league system. In the buildup to the game, the Welsh manager Mike England was unhappy that the game was to be played at Ninian Park in Cardiff instead of the Racecourse Ground in Wrexham. Wales at the time had an excellent record at the Racecourse, both in qualifying tournaments for the World Cup and European Championships, and in the British Home Championship. During the early 1970s, Wrexham had embarked on making significant improvements to the Racecourse, with two new stands built and a new roof installed over the Kop End. Ninian Park however had had its capacity cut as a result of various safety inspections until improvements were made. The smaller capacity of the Racecourse additionally meant that home games were more likely to sell out. This had led to the FAW choosing the Racecourse for the majority of the national team's home games from 1977 onwards. Before the game against Scotland, Wales had played twenty home games since the beginning of 1980, with eight each of those played at Cardiff and Wrexham. Of those, Wales had won 6 and drawn 2, including two wins against England, and the 3–0 victory over Spain earlier in the qualifying tournament at the Racecourse, while they had won 3, drawn 2 and lost 3 at Ninian Park. However, in spite of Wales' exceptional record at the Racecourse, the interest in the game led to the FAW to name the larger Ninian Park as the venue. Jock Stein was under significant pressure to get Scotland to the World Cup, and had said that he would step down after the finals. Jock Stein had been the manager of Scotland since the resignation of Ally MacLeod in 1978, and had managed to ensure qualification for the 1982 World Cup in Spain. However, over the period there had been little other success, either in the European Championships, which Scotland had failed to qualify for twice, or the British Home Championship, which had led to criticism leading into the next competition, the 1986 World Cup. As a consequence, Stein was facing significant pressure to ensure qualification for his team for the tournament, given the route that have been provided to Scotland by the qualifying draw. Group 7 was one of three UEFA qualifying groups with only four teams – in each of these groups, the second placed teams would advance to a play-off round. For the second placed team in Group 7, this meant a two-legged play-off against the winner of the OFC tournament, likely to be Australia, which was seen as a much easier proposition than the runners up in Group 1 and Group 5, who would have to face each other. As a consequence, the defeat to Wales in Glasgow had led to significant criticism directed at Stein, who was aware that failure to get a result against Wales would likely cost him his job. He was not helped by the fact that a number of his senior players, including Graeme Souness (his captain), Kenny Dalglish, Alan Hansen and Steve Archibald would all miss the game through injury or suspension. Stein was also taking diuretics to manage heart failure at the time but had, in the build-up to the game, decided to stop taking them to try and remain focused and negate any potential side-effects the medication might have. Despite his enthusiasm for the job and for football, the strain on Stein, combined with his poor health, had led to him indicating that he would step down after the World Cup Finals in Mexico. English football had gone through a number of serious incidents related to football hooliganism throughout 1985. In March, a major riot had occurred during an FA Cup tie between Luton Town and Millwall; on the final day of the English domestic season, the Second Division game between Birmingham City and Leeds United was marred by the death of a 14-year-old Birmingham fan during rioting before the game, while just two days after Scotland's qualifying game in Iceland, the Heysel Stadium disaster had occurred prior to the 1985 European Cup Final, which had led to English clubs being banned from European competition by UEFA. Although this did not affect England in international football (though there were discussions in regards to their participation in the 1988 European Championships ), nor did it have any implication for either the Scottish Football Association (SFA) or FAW over their clubs' participation in Europe, there were fears, voiced by Jock Stein among others, that any trouble by supporters at what would be a highly charged game in Cardiff, with not only what was riding on the result, but also that it was a Home International, would provide an excuse for the British government, under Prime Minister Margaret Thatcher, to extend the measures it was putting in place to crack down on hooliganism in England to Scotland and Wales. Indeed, as a result of Heysel, the Belgian government banned football teams from the whole of the United Kingdom on 1 June 1985, with the ban only lifted in December 1986. The importance of the match meant it was selected for live broadcast by ITV across their entire network, with on-site presentation by Jim Rosenthal, by then one of ITV Sport's main presenters, who shared the studio with Jimmy Greaves. Two separate commentary teams were used: one, consisting of ITV's senior commentator Brian Moore, Terry Yorath and Ian St. John, covered the game for the English and Welsh regions of the network, while the other, with Jock Brown and Joe Jordan, was for viewers in the Scottish ITV areas. Dutch referee Jan Keizer was chosen to officiate the game. Up to that point, he had taken charge of two games in the qualifying competition, including Wales' home game against Spain the previous April. Although regarded highly enough by FIFA to be chosen for the 1984 Olympic Final, he had a reputation for being strict in his interpretation of the rules. Gordon Strachan was one of several people who noticed that Stein did not appear well on the day of the game. Nevertheless, Stein appeared to be in good spirits; during the warm-up, Wales goalkeeper Neville Southall found that the Scottish fans in the crowd kept all of the balls he and Eddie Niedzwiecki were using. On returning to the dressing room he spoke about it to Stein, who then went out onto the pitch and gestured to the fans to return all the balls. Prior to the start he took his place in the dugout and the game kicked off without incident. The Scottish defenders struggled with the physical presence of Mark Hughes, and he opened the scoring in the 13th minute. In the return game at Hampden Park, Scotland had found the physical presence of Welsh striker Mark Hughes difficult to contain – it had been a challenge from Hughes on defender Alex McLeish that had allowed Ian Rush to score the winner in that game. So, Stein had set his team up with a line of five defenders at the back; this allowed Richard Gough to remain close to Hughes, with McLeish, Roy Aitken, Maurice Malpas and Willie Miller providing defensive cover. The game began at a furious pace, with both teams prepared to fight hard; after only two minutes, Hughes made a heavy tackle on McLeish that incensed the Scotland players, while only a minute later McLeish was booked for a challenge on Rush. However, despite the defensive line employed by Scotland, they were unable to prevent Wales taking the lead after thirteen minutes, when Peter Nicholas made a low cross, despite the attention of both Aitken and Steve Nicol, for Hughes to score past goalkeeper Jim Leighton. Wales almost scored again in the twentieth minute when Joey Jones crossed for Robbie James, whose header went just over the bar. In the 38th minute, a Welsh free kick was blocked twice by Leighton, with the second falling at the feet of Hughes, whose shot went just wide. Then, just before half-time, Leighton misjudged the flight of a cross that caused the ball to drop again to Hughes; the Scottish keeper prevented Wales scoring a second by diving at Hughes' feet. Jim Leighton's shortsightedness was a secret from everyone, but came out when he admitted he had lost one of his contact lenses during the first half. Once half-time was reached, it was clear that Scotland, and Jim Leighton in particular, were in difficulty. In the dressing room, Leighton admitted that the reason he had missed the cross at the end of the first half, which led to the last-ditch save at the feet of Mark Hughes, was that he was shortsighted and had lost one of his contact lenses. Not only that, but he did not have a spare pair with him. Leighton had not been forthcoming about his eyesight because of fears that it might harm his career. As a consequence, that the goalkeeper even needed lenses was something that his team mates, Alex Ferguson (who was also Leighton's club manager at Aberdeen) or, most importantly, Jock Stein did not know. “ Jock hit the roof. He was furious because no one had told him Leighton wore contacts. During the half-time interval, Stein gave also Gordon Strachan notice that he planned to bring him off during the second half and replace him with winger Davie Cooper. Stein's five-man defensive set-up meant that his midfielders were outnumbered by the Welsh, and consequently Strachan had failed to make an impact on the game up to then. Despite this, Strachan was prepared to argue with Stein that he should remain on, until Alex Ferguson cautioned him to be aware that the manager was clearly not well, and should not cause too much stress with a confrontation. Although Neville Southall went the right way, and got his hands to the ball, he was unable to prevent Davie Cooper scoring the equaliser from the penalty spot. “ It wasn't so much I picked up the ball. The other 10 left it for me. Cooper struck the ball low and hard to his right; despite Neville Southall getting his fingers to it, the penalty was successful and brought the scores level. Immediately, Mike England made a substitution, withdrawing midfielder Robbie James and bringing on forward Steve Lovell in an effort to regain the advantage. Two minutes later he made his second and final substitution, bringing off Mickey Thomas for Clayton Blackmore. At the time the penalty was taken, the Welsh dugout was surrounded by press and photographers, as the home team were still leading 1–0. With the scores levelled, the pack switched their attention to the Scottish bench, which led to Stein remonstrating with at least one photographer to move out of the way of his view of the game. Both Professor Stewart Hillis, the Scotland team doctor (who was also Stein's consultant), and Welsh manager Mike England stated that there appeared to be nothing wrong at this point. While the rest of the Scottish bench were celebrating Cooper's successful penalty, Stein was unanimated. It was thought that he was merely following the advice he had given to his staff and players throughout the evening - "keep your dignity". However, Ferguson had noted that the manager appeared even more pallid, and was sweating profusely. With approximately two minutes of normal time left, the referee's whistle blew for an infringement. Stein however appeared to think that the final whistle had been blown, as he rose from his seat and began to make his way towards the Welsh bench to shake hands with England. However, as he got up, he then fell to his knees before collapsing to the ground. He was immediately carried to the stadium's medical room where attempts were made to resuscitate him. ITV pitchside reporter Martin Tyler informed Scotland captain Willie Miller about Stein's collapse during a post-match interview. The final whistle blew with the score remaining at 1–1. The Scottish players began celebrating their achievement with the estimated 12,000 Scotland fans who had made the trip to Cardiff, but were immediately aware that something was not right on the touchline, although with the level of commotion they were unclear precisely what was happening. It was Alex Ferguson, who went onto the pitch after the final whistle, who began informing some of the players of Stein's collapse, news of which began to filter through to all of them as they made their way back to the dressing room. Reports were sketchy initially – television pictures broadcast on ITV showed Stein, who appeared to be both conscious and alert, being carried down the tunnel by a number of police officers, with commentator Brian Moore speculating that he had been overcome with the emotion of the result. BBC Radio commentator Peter Jones (who had no access to the television pictures and was relying on information from other people in the press box) also speculated that the tension of the result and the night had led to Stein's collapse. Willie Miller, the Scottish captain on the night in the absence of Graeme Souness, was informed by Martin Tyler of ITV Sport during the post-match interview that Stein had collapsed, with Alex Ferguson entering the dressing room to tell them that Stein had suffered a heart attack. In the treatment room, Stein, who had remained conscious throughout, was on the table being supported by Ernie Walker and Bill Dickie, two senior members of the SFA, while the on site medical team led by Stewart Hillis tried to keep his heart beating. Hillis at one point administered an injection to try to make Stein more comfortable, with Stein saying to him "that feels better Doc". Seconds later, Stein slipped into unconsciousness; despite the efforts of Stewart Hillis, he was pronounced dead approximately half an hour after the final whistle. The news filtered out slowly – first the players were told, then the media. As the crowd began making their way home from Ninian Park, the news began to filter out slowly. Some Scottish fans had elected to remain in Cardiff and were celebrating the achievement of guaranteeing the play-off spot when they saw and heard what had happened. Others had boarded trains or were in cars heading home – many fans didn't hear the news until they eventually got home the following day. Stein's body was returned to Glasgow, where his funeral took place on 13 September 1985. In later years it was revealed that it was not a heart attack, but rather pulmonary oedema (fluid in the lungs) as a result of heart disease that caused Stein's death. Stein had stopped taking the diuretic medication prescribed for this in the days leading up to the game, which has been suggested as a contributory factor to his eventual collapse. Two weeks after Scotland had secured the point they needed against Wales, Spain played their final qualifier at home to Iceland, winning the game 2–1 to top the group and qualify automatically for the World Cup, leaving Scotland in second to go into the play-off. The difficulty of finding a permanent replacement for Stein in the time available led to Alex Ferguson being appointed as the national team manager until at least the end of the World Cup. Following Stein's death, his assistant Alex Ferguson agreed to take charge of the national team. Initially, this was intended to be a one-off for the friendly that was planned for the free date on 16 October. However, the lack of time available in the lead up to the play-off meant finding a permanent replacement would prove difficult, and so Ferguson was officially appointed on 1 October at least until after the World Cup. While waiting to find out who they would play, Ferguson's first game in charge saw the team take on East Germany in a friendly at Hampden Park on 16 October. Their opponents were finally confirmed on 3 November, when Australia beat New Zealand to take an unassailable lead at the top of the four team Oceania group. Scotland came through the two-legged tie thanks to a 2–0 home win in Glasgow and a 0–0 draw in Melbourne, which saw them become the 24th and final team to qualify for the World Cup Finals in Mexico. Ferguson remained in charge through the remainder of the 1985–86 season and into their World Cup campaign, which saw them eliminated in the group stage, gaining only a single point, before stepping down at the end of June 1986, to be replaced by the SFA's Director of Coaching Andy Roxburgh. Ferguson's record saw him in charge for a total of ten games, of which five were competitive games and five (including the 1986 Rous Cup match) were friendlies. Of those, the team won three, lost three and drew four. For the third successive tournament, Wales had missed out on qualification by a slender margin, having missed the 1982 World Cup on goal difference, and the 1984 European Championship by a single point. Despite this setback, which was followed by a 3–0 home defeat to Hungary in October, the team went through the rest of the season with only one other defeat, against Canada in May 1986. There was also the sense of history repeating itself in that, just as in 1977, it was a controversial penalty decision that ended up costing them dearly. Despite this however, there was also a feeling that, given the group of players available to them, they would qualify for the next tournament. As it was, Wales failed to qualify for a major tournament until the 2016 European Championships. Mike England was convinced that choosing Ninian Park as the venue was a factor in Wales failing to secure the win they needed, given the team's record when playing at Wrexham, and has criticised the FAW for making the choice. Wales played two more home games that season against teams that had qualified for the World Cup by finishing top of their qualifying groups. On 16 October, Hungary came to Ninian Park and won 3–0, while on 21 April 1986, Wales's final home game that season saw them gain a 0–0 draw against Uruguay at the Racecourse Ground in Wrexham. Ian Rush was one of the members of a "golden generation" of Welsh football that it was believed would qualify for subsequent tournaments. England oversaw a further qualifying campaign, for the 1988 European Championships, which Wales again failed to qualify for. As a consequence of this, the FAW terminated his contract at the beginning of 1988. England admitted that the death of Jock Stein had significantly affected him and, following his dismissal from his post as Wales manager, he never worked in football again, instead focusing on the timber business he founded in 1969, before buying and managing two care homes in North Wales. In 1989, the FAW reached agreement with the Welsh Rugby Union to play at the National Stadium in Cardiff; the majority of home games were played there for the next decade, with occasional visits to Wrexham. In 1997, demolition of the National Stadium began, to be replaced on the same site by the Millennium Stadium, intended to serve as a home for both the football and rugby union teams. However, since 2000, as well as continued improvements to the Racecourse Ground, both Cardiff City (the Cardiff City Stadium; opened 2009) and Swansea City (the Liberty Stadium; opened 2005) have built new grounds. In addition, the new Parc y Scarlets (opened 2008) in Llanelli has also been constructed to meet UEFA's international criteria. This, added to the difficulty the FAW have had in filling the 74,000 seat Millennium Stadium in recent years, has led them to come full circle, with the majority of home games in recent years taking place at venues other than the national stadium. :1 ^ The capacity of the stadium is 15,500 including the Spion Kop terrace; however, UEFA regulations for international games state stadia must be all seater. Memorial plaque to Jock Stein – initially mounted at Ninian Park, it was removed and taken to Parkhead in 2010. In the years since Jock Stein's death, some, including Alex Ferguson, have said that they noticed changes in him in the days and weeks prior to the game against Wales. The night before, Stein had invited Ferguson and Andy Roxburgh to his hotel room, where he reminisced with them about his time in football, something that he rarely if ever did; he also persuaded his family not to make the trip to Cardiff to watch the game. Further, Ferguson noted that, during the half-time interval, Stein did not dominate the dressing room in the way he normally did, while Gordon Strachan found it difficult to understand precisely what Stein was saying during his team-talk. However, Strachan came to accept that the final decision Stein made, to replace him with Davie Cooper, was the correct one given Cooper's subsequent impact on the game. In 2009, the memorial was removed from the stadium when it was demolished and transferred to the "Ninian Park Gates" at the new Cardiff City Stadium. In 2010, to mark the 25th anniversary, the original plaque was removed and taken to the Celtic museum at Parkhead in Glasgow, and was replaced at the Cardiff City Stadium by a replica bearing the same inscription. ^ a b c d Miller, David (8 October 2004). "FA sold Welsh down the river in dumping British Championship". Daily Telegraph. Retrieved 7 January 2013. ^ "Wales national football team: record v Scotland". 11vs11.com. Retrieved 22 October 2012. ^ Cavan, Harry (December 1983). "Programme Notes". Irish Football Association match programme (Tuesday 13 December&nbsp, 1983). ^ a b "World Cup 1986". Internationals on ITV 1984-present. ITV Football 1968–83. 13 October 2012. Archived from the original on 4 March 2016. Retrieved 18 October 2012. ^ Paul, Ian (28 March 1985). "Scotland are Rushed into the doldrums". Glasgow Herald. Retrieved 17 October 2012. ^ a b Reynolds, Jim (28 May 1985). "Bett's late goal earns hard victory". Glasgow Herald. Retrieved 7 January 2013. ^ "Spain have pace for fast route to Mexico". Glasgow Herald. 25 September 1985. Retrieved 6 January 2013. ^ "Jordan's handiwork 25 years on". BBC Sport. 12 October 2002. Retrieved 16 October 2012. ^ a b c d e "Wales national football team statistics and records: all-time record". 11v11.com. Retrieved 7 January 2013. ^ a b c "Scotland national football team statistics and records: all-time record". 11v11.com. Retrieved 7 January 2013. ^ a b c d e f g h Bascombe, Chris (9 October 2012). "Jock Stein's death at Cardiff's Ninian Park left a scar on both nations". Daily Telegraph. Retrieved 10 October 2012. ^ Pursey MBE, Ivor (May 1989). "History In The Making: Wales V. West Germany. A Message from the President of the F.A.W". Football Association of Wales match programme (Wednesday 31 May 1989). ^ Somerton Park, the home of Newport County, was never used for international football. ^ a b Includes 1978 World Cup Qualifier against Scotland played at Anfield. ^ a b Paul, Ian (11 September 1985). "Sacrifice of a Football Manager with the Midas Touch". Glasgow Herald. Retrieved 16 October 2012. ^ Reynolds, Jim (28 January 1984). "Backing for Jock Stein". Glasgow Herald. Retrieved 2 November 2012. ^ a b Wragg, John (9 October 2012). "Alex McLeish said just two words:'Jock's Dead'. Then there was silence". Daily Express. Retrieved 10 October 2012. ^ a b c d e f g h i j k l McGowan, Stephen (10 October 2012). "The tearful night a giant died: Shock and sorrow after the passing of Jock Stein". Daily Mail. Retrieved 10 October 2012. ^ Jones, Neil. "Football Violence & Top 10 Worst Football Riots". SoccerLens. Retrieved 16 April 2013. ^ a b Rowland, Chris (2009). From Where I Was Standing: A Liverpool Supporter's View of the Heysel Stadium Tragedy. GPRF Publishing. ISBN 978-0-9559253-1-3. Retrieved 19 October 2012. ^ "England face further ban". Glasgow Herald. 10 September 1985. Retrieved 19 October 2012. ^ McIlvanney, William (writer/narrator). "The Manager". Only A Game? The Story of Scottish Football. Season 1. Episode 2. BBC Scotland. ^ "Brussels closes door on all teams from UK". Glasgow Herald. 1 June 1985. Retrieved 20 October 2012. ^ "Belgium lifts football ban on Scots". Glasgow Herald. 17 December 1986. Retrieved 20 October 2012. ^ Grondhuis, Francis (7 July 2012). "Jan Keizer, altijd met strakke hand" [Jan Keizer, always with a firm hand]. voetbal.nl (in Dutch). Retrieved 8 January 2013. ^ a b c d Pougatch, Mark (9 October 2012). "Big Jock". BBC 5 Live Podcasts (Podcast). BBC. Retrieved 16 October 2012. ^ Spencer, Ben (12 October 2012). "Goalie legend Neville Southall reveals magical memories of Jock Stein". Daily Record. Retrieved 16 October 2012. ^ a b c d e f Reynolds, Jim (11 September 1985). "Welsh hand Scots second World Cup Chance". Glasgow Herald. Retrieved 11 October 2012. ^ a b c d Moynihan, Leo (2007). Gordon Strachan: The Biography. Virgin Books. ISBN 978-0-7535-1251-7. Retrieved 8 November 2012. ^ Hamilton, Sean (16 August 2012). "Leighton's vision for a better season". PR Web UK. Retrieved 17 October 2012. ^ a b c d McLeod, Keith (10 September 2010). "The night 'Big Jock' Stein died: Scotland players, staff and fans remember the tragedy 25 years on". Daily Record. Retrieved 11 October 2012. ^ Hugh MacDonald (5 September 2015). "You are on you fat b******: Jock Stein's last words to Alan Rough". Herald Scotland. Retrieved 6 March 2018. ^ "Big Mac" (18 March 2005). "Taken Too Soon - The Davie Cooper Story". FollowFollow.com. Retrieved 20 October 2012. ^ a b McCallum, Andrew; Reynolds, Jim (11 September 1985). "Manager Stein dies at match". Glasgow Herald. Retrieved 10 October 2012. ^ a b c d Scott, Brian (10 September 2010). "JOCK STEIN: Sportsmail's Brian Scott, on duty that fateful evening 25 years ago, recalls the shock and sorrow at a legend's passing". Daily Mail. Retrieved 10 October 2012. ^ Moxley, Neil (10 October 2012). "Ferguson and co recall the fateful night of Jock Stein's tragic death moments after Scotland's triumph in Wales". Daily Mail. Retrieved 2 November 2012. ^ Llewellyn, Don/Watts, John/Williams, Lewis (Directors) (1985). World Cup Soccer Special: Wales v Scotland (Television). Cardiff, Wales. Retrieved 17 October 2012. ^ a b Grant, Michael (23 July 2010). "Scotland doctor Professor Stewart Hillis has spent 40 years in the game, but knows he will always be remembered for Daniel Prodan's transfer". Herald Scotland. Retrieved 17 October 2012. ^ "27 Years since Jock Stein died". Jambos Kickback. 10 September 2012. Retrieved 8 November 2012. ^ "The Day Big Jock Died". talkceltic.net. Retrieved 11 October 2012. ^ "Fans' good behaviour 'watershed for football'". Glasgow Herald. 12 September 1985. Retrieved 11 October 2012. ^ a b c "Managers - Alex Ferguson". scottishfa.co.uk. Scottish Football Association. Retrieved 17 October 2012. ^ Reynolds, Jim (12 September 1985). "SFA face problem of finding new leader for final World Cup hurdle". Glasgow Herald. Retrieved 19 October 2012. ^ Reynolds, Jim (5 December 1985). "Defence now policy as Ferguson reshapes plan". Glasgow Herald. Retrieved 17 October 2012. ^ "Fergie Steps Down". Evening Times. 16 June 1986. Retrieved 10 June 2011. ^ "Scotland on a Winner". Evening Times. 17 July 1986. Retrieved 24 April 2013. ^ Dafydd Pritchard (10 October 2015). "Bosnia-Herzegovina 2-0 Wales". BBC Sport. Retrieved 25 July 2017. ^ "Wales national football team statistics and records: all-time record - 1986". 11vs11.com. Retrieved 14 January 2013. ^ "England is fired after seven years". Glasgow Herald. 4 February 1988. Retrieved 17 October 2012. ^ Phillips, Terry (6 January 2007). "England's Finest". South Wales Echo. Retrieved 17 October 2012. ^ Burt, Jason (25 March 2011). "Wales v England: Gary Speed keen to fire up sell-out crowd at Millennium Stadium". Daily Telegraph. Retrieved 17 April 2013. ^ a b "Plaque commemorating Jock Stein 'moving to Celtic FC'". BBC News. 19 January 2010. Retrieved 15 October 2012. ^ "Preview: Celtic v Aberdeen". ESPN. 10 September 2005. Retrieved 16 January 2013. ^ "Jock Stein memorial to be saved when Cardiff City's Ninian Park faces bulldozer". Daily Record. 6 May 2009. Retrieved 6 November 2012. MacPherson, Archie (2005). Jock Stein: The Definitive Biography. Highdown. ISBN 978-1-905156-04-7. Inglis, Simon (1983). The Football Grounds of England and Wales. London: Willow Books. ISBN 978-0-00-218024-5.